Soft Cover, 450 pages, 7 x 10. 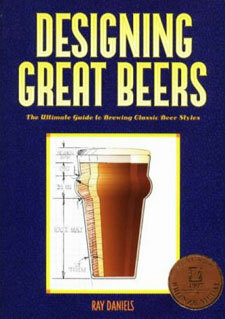 With Designing Great Beers: The Ultimate Guide to Brewing Classic Beer Styles, you become the brewmaster. Author Ray Daniels provides the brewing formulas, tables, and information to take your brewing to the next level in this detailed technical manual. Ray Daniels is also author of Brown Ale and award-winning 101 Ideas for Homebrew Fun.